The only way to celebrate Cinco de Mayo is with an epic bar crawl – and we’ve got you covered, Philadelphia. 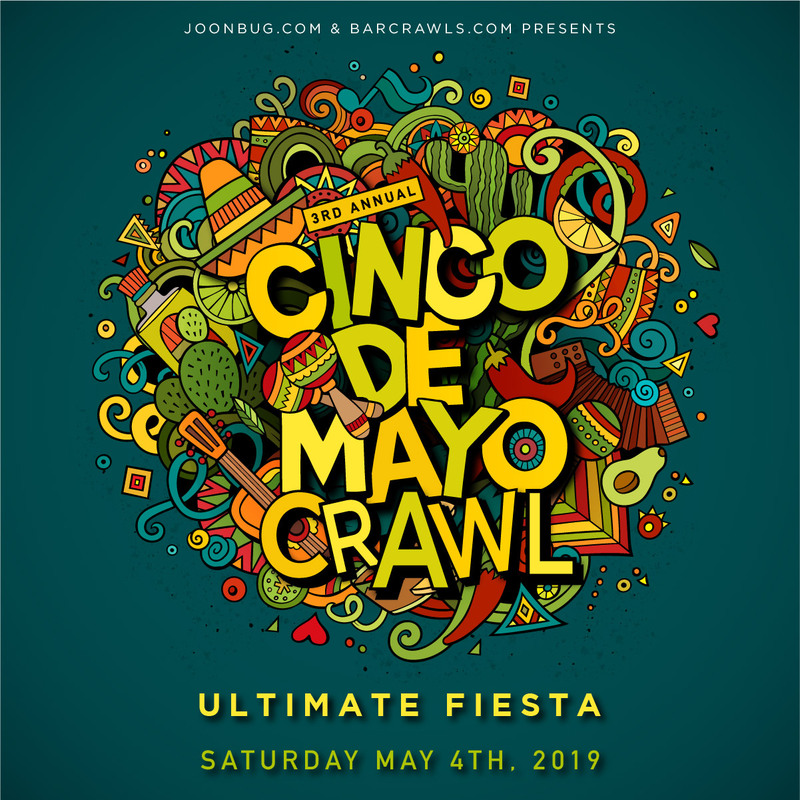 On May 4, the Saturday before our favorite Mexican holiday, expect exclusive drink deals at every bar on the crawl. Wearing your wristband means you get free admission into every hotspot in Philly, with the city’s most spirited partiers that keep the fiesta going all day and night. It’s a day full of tequila, Coronas, and clinking glasses that you’ll never forget. Hop from bar to bar and experience the ultimate fiesta with Philly’s best this Cinco de Mayo. Your starting point is the designated registration sit- head there between 2-7pm and your wristband and map will be waiting for you there! Scanning E-Tickets: Your E-Tickets will be scanned at the Bar Crawl at your registration site. Bring a printed copy of your E-ticket or have it displayed on your mobile device. Photo ID: To gain entry to the Bar Crawl you must present a valid government photo ID. Note: The Bar Crawl is a 21+ event. No one under 21 will be admitted to the events. Registration: Come to the Registration site you selected in order to receive your wristbands and maps. Registration Time: It is important to register during the crawl's established registration times. If you arrive after registration closes you will not be able to get your wristband and map. Crawl Route: There is no specified crawl route; it is completely up to you to choose where you’d like to crawl! Use your BarCrawls.com map to determine your route and bar hop at your leisure. Capacity Restrictions: If it happens that a bar is full, no worries, keep crawlin' - there are plenty of bars to choose from on the map. You can bar hop back later in the crawl. Please note participation times of each bar! Additional Tickets: If you would like to purchase additional tickets you may do so the day of the event. However, tickets prices online and at the door are higher on the day of the crawl. We encourage you to buy in advance.